Though I’ve been a book addict since before I could read and much of my childhood was spent haunting Barnes and Nobles or public libraries, it wasn’t until college that I really discovered independent bookstores. Many independent bookshops stock used as well as new books. As any economist can tell you, when the price of a commodity falls, demand for it rises, because people can afford to buy more of it. Cheaper books=more books on my shelf. Where’s the problem? Far from the mass-produced commerciality of chain bookstores, with their hygienic, matching stacks of flash-in-the-pan bestsellers, independent bookstores have the allure of individuality and eccentricity. Don’t get me wrong–I love a good multi-story Barnes and Noble with a digitized inventory system (I spent two college summers working in one), or in Britain, a big, clean Blackwell’s or Waterstones. But from the sign over the door to the entrance display of books to the cat in the window, no two used bookstores are exactly alike. Chain bookstores have the feel of business parks; independent bookstores are more like house parties with literary friends. You step in and run into someone you know (“Mr. Wordsworth! It’s been too long!”), make some small talk, and pretty soon they’re introducing you to their friends and their friends’ friends (Eco, Joyce, Zusak, I take down on my To-Read list). Next thing you know, you’re exchanging business cards and promising to keep in touch and walking out with a dreamy smile and a stack of “finds” you didn’t know existed an hour ago. (This is why I often leave my credit card in the car when I enter a bookstore.) It reminds me of the movie Midnight in Paris, where if you step into the magic car at midnight, you might be whisked off to sit in Gertrude Stein’s living room and watch Hemingway argue with Fitzgerald. Sometimes I’m so overwhelmed by the collective wisdom and camaraderie that I get teary in front of the fiction section. I think my favorite bookstores have a mix of new and used – I’m thinking of Powell’s Books in Portland & Third Place Books in Seattle. They’re kind of the best of both worlds.Looking forward to your series, Alina! What a great idea for a blog series! I love used bookstores. There’s something very home, safe, and comforting about them. I love introducing little kids to used book stores. In this age of all the distractions of electronics, etc. showing kids the wonder of books and explaining to them that these are books that were loved by others is a treat. Things don’t need to be new or expensive to be special.For myself….I read so much that I could never afford to support my habit without buying used. Plus I am more apt to purchase a book that I have not idea if I will enjoy if it is on the $.99 rack. 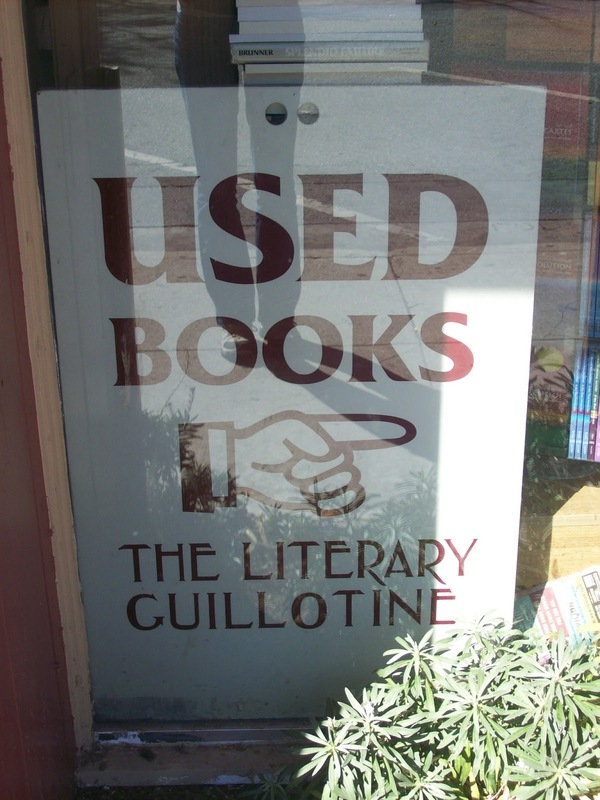 And many times I am pleasantly surprised and discover a real gem.I frequent the used bookstore in downtown Campbell and also Rasputin Records now has a used book section. 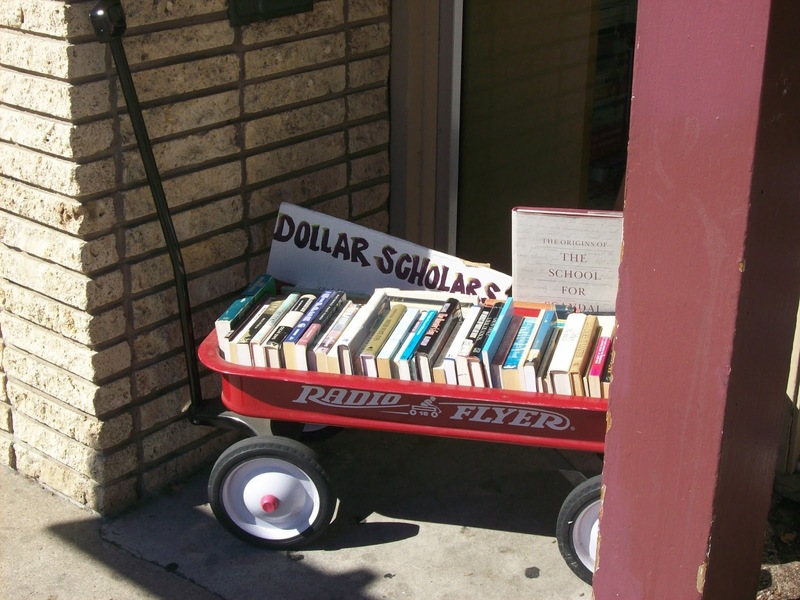 Goodwill and Salvation Army are also good spots for finding books. Emily uses Rasputin and Goodwill and Salvation Army to pick up CDs, vinyl, and cassette tapes. Wow, you paid full price until college?? My parents owned a used bookstore when I was a few years old until I was six, it was inculcated in me to buy used – I’ve very rarely bought new books. They’re too expensive!Plus, used bookstores have more selection – more than just what’s current, they have all kinds of books from all kinds of times and interests, you never know what you’ll find as well as finding that older book you’ve been looking for – and have a much nicer vibe.Thrift stores, as mentioned, are also good places if you’re after cheap books, and library book sales. I will always choose a bookstore that sells used books over a big chain store. It somehow feels like I’ve come home again as I step over the threshold into the store. Like Liv mentioned, Powell’s is my favorite bookstore. I love that they sell both new and used books. I can spend all day there wandering the aisles, trying (though failing) to limit the number of books I’ll allow myself to buy. When I was at university (college) me and a bunch of friends used to haunt used book stores. In fact, five of us signed a pact that one day we’d open one together. (I wonder where my copy of that has got too…?) I confess that I don’t go into them nearly as often these days. Back then, I was collecting all the books of Mary Stewart or Georgette Heyer or some SFF author of yore, but these days I can barely keep up with the reading on my kindle. I feel very sad about that actually.